Fernwood Nursery in Devon, England, run by Howard and Sally Wills specialise in Sempervivums and Jovibarbas and have the NCCPG collection of these plants. The group is one of the few reliably hardy ones in cold wet climates like That of the UK and will take even colder conditions if necessary. This little booklet is an excellent intoduction to the group and illustrates many of the species and cultivars grown in the NCCPG collection. 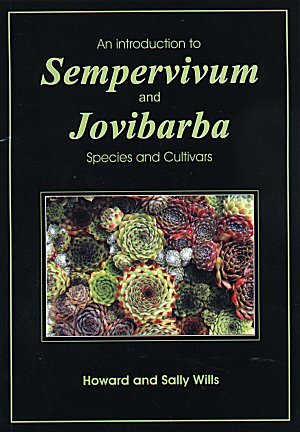 This is an ideal booklet for anyone wanting to grow some of these plants on their rockery. There is also a CD-ROM available which shows larger pictures than are printed in the booklet.